Texplainer: If Convicted, Will Paxton Have to Leave Office? Paxton has indicated he won't resign after being indicted Monday on three felony securities fraud charges. But, hypothetically, what would happen if the case makes its way through the legal maze and Paxton is found guilty? 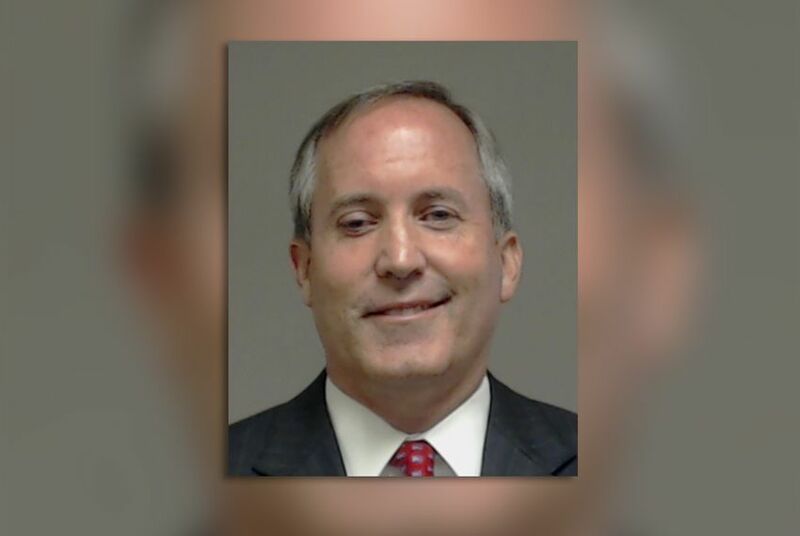 Hey, Texplainer: What happens if Attorney General Ken Paxton is convicted on felony charges? Is he required to leave office? The Texas Constitution is mum on the subject of felony convictions of an attorney general, so there doesn’t seem to be an easy answer. Texas Election Code prohibits a person from running for a public office if they had been "finally convicted of a felony from which the person has not been pardoned or otherwise released from the resulting disabilities.” But it’s not clear this would affect Paxton, who has already run and assumed an elected position. A bill passed last session could make the code less vague. House Bill 484 requires elected officers to be registered to vote — a privilege that convicted felons lose. But this law doesn’t go into effect until Sept. 1 and it doesn’t affect those who took office before that date. If Paxton is convicted and chooses to run for reelection, he might run into trouble, but he also might not. The registered voter requirement doesn’t apply to offices with qualifications prescribed by a state or federal constitution. Paxton’s lawyers could argue the state constitution creates and describes the office of attorney general, but the prosecution could counter that specific qualifications for the office, including minimum age and residence, come from the election code. But Paxton would have to be convicted — and exhaust all his appeals before the remainder of his term runs out — for these considerations to come into play. Also at issue is whether Paxton would be able to retain his law license post-conviction. A member of the bar convicted of a felony could be deemed lacking “good moral character," according to a bar rule, thus putting him at risk of being disbarred. This is where it gets tricky. Under the qualifications for office, the attorney general is not required to be a practicing lawyer or judge. There are several positions that do require the officeholder to have been a practicing lawyer or judge including justices of the Texas Supreme Court and Court of Appeals, district attorneys and state district judges. But of course, nearly all the duties as the state’s top lawyer would require a law license. A disbarred attorney general couldn’t go to court or file any official legal proceedings under his name, said Gus Saber, a Houston criminal defense lawyer. “I guess he could stay on, not practice law — do mostly nothing from prison — and wait to possibly be impeached,” Hamilton said. Impeachment is another way Paxton could be removed. The governor could call a special session and ask the Legislature to vote for impeachment. Yet a section of a law passed in 1993 outlining impeachment procedures states a public official "may not be removed from office for an act the officer may have committed before the officer's election to office." According to the indictment, Paxton's alleged felonies occurred before he was elected as attorney general in November. Bottom line: While it may seem obvious that a convicted felon would be automatically removed from office, there's no clear-cut answer in either the Texas Constitution or state law. It will depend on how the legal process plays out. Disclosure: The University of Houston has been a corporate sponsor of The Texas Tribune. A complete list of Tribune donors and sponsors can be viewed here. *Clarification: This story has been updated to further clarify what Texas Election Code says about prohibiting a person from running for a public office if they have been convicted of a felony.